You really want a Hollywood smile, don’t you? No, of course you don’t. You want to look like you, only better, especially when it comes to your smile. It’s perfectly healthy, but some stains and chipped enamel embarrass you. Would you like to change those marred teeth into a dream smile that looks natural, too? Then, consult Dr. J. Robert Donnelly, cosmetic dentist at San Marcos Gentle Dental. Your smile zone is made up of the teeth right in the front of your mouth. In other words, they are the teeth that show when you smile or laugh. When these teeth are marred by cracks, chips, stains, overlapping, gaps or other defects from injury, wear and tear or congenital defect, you simply want to smile less. 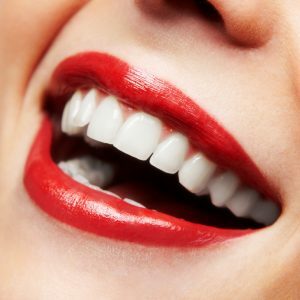 At San Marcos Gentle Dental, Dr. J. Robert Donnelly offers comprehensive smile analysis. A cosmetic service, a smile analysis shows the patient the how’s and why’s of aesthetic defects and works up a plan to change them. A featured aesthetic treatment is porcelain veneers, or dental laminates. Made of ultra-fine dental grade ceramic, porcelain veneers cover the front side of marred teeth. They are tooth-shaped and perfectly color-matched. Bonded permanently in place, laminates create a seamlessly lustrous smile zone, plus they strengthen tooth enamel, too. To receive veneers, you must have teeth free from multiple restorations and decay, and your gums should be pink and free of gum disease. Dr. Donnelly performs a complete oral examination and takes x-rays and other imaging to create the perfect treatment plan. He also removes a ½ mm slice of enamel from the front side of each tooth. He takes an oral impression to send to the dental lab. A ceramic technician creates a 3-D model of the mouth and crafts each veneer separately. He takes care to shape and color the veneers for correct fit, bite and color. Because they are individually crafted, veneers match your unique facial characteristics, age and gender. When the veneers return from the dental lab. Dr. Donnelly bonds them in place. He adjusts the color by varying the shade of the adhesive. Lumineers are a special kind of porcelain veneers in San Marcos. They are even thinner than regular laminates and have a shinier texture. Because they are razor thin, they require no enal preparation and are truly reversible. Like other veneers, Lumineers are specially made in an outside dental lab. Your newly refurbished smile stays bright and even with daily flossing and twice daily flossing. You should see Dr. Donnelly for your routine check-up and cleaning every 6 months. As veneers and Lumineers do not stain, expect that dream smile to gleam for many years. It’s just a phone call away. Find out of porcelain veneers are right for you and your smile. Contact San Marcos Gentle Dental today.